Most investors come into an advisory relationship with a certain amount of personal baggage – past liabilities, occupational stressors or perhaps marital issues. One advantage most investors bring with them is a family, namely, a generation of children and perhaps even grandchildren. For years, Spectrem has long trumpeted the value of an advisor creating a culture with each investor that would cause him or her to want their children to work with the same advisor they work with. While an investor’s progeny is the topic of many conversations related to investment intentions, they are also an opportunity waiting to be explored by a wise advisor. Cultivating a relationship with the spouses, sons and daughters of a client is a wise way to maintain a business relationship with that family, even when the original investor passes away. While many estate plans are created by family attorneys, financial advisors are likely to know the intentions of their client in regards to passing along their wealth. While the money will go to the spouse and or the children, the business of investing those funds can stay with your firm if you make an effort to establish a relationship with the next generation. Spectrem has produced an endless stream of research indicating the importance of the family structure in investment strategy. Many investors not only want to introduce their children to their advisor, they struggle to determine the best age in which to make the introduction so that it is effective for both the advisor and the family member. 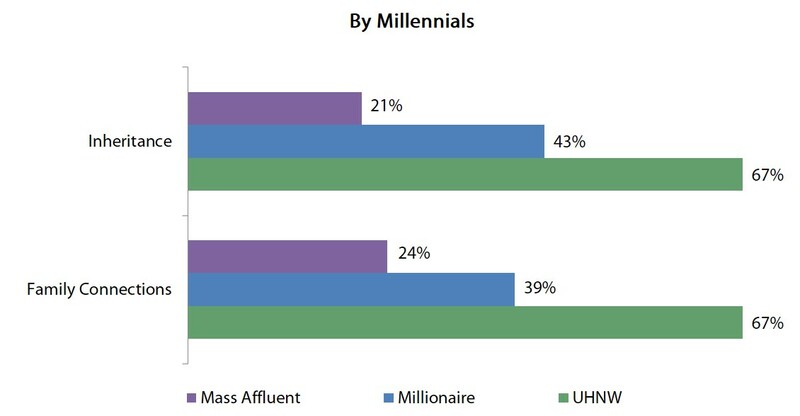 According to Spectrem’s latest study on the younger generation of investors, inheritance plays a significant role in financial lives of today’s Millennial generation. In the study Millennials and Generation X Investors: Attracting the Next Generations of Wealth, 67 percent of Millennials with a net worth above $5 million credit inheritance as playing a role in their wealth creation. Forty-three percent of Millionaires with a net worth between $1 million and $5 million express a similar belief that inheritance was a significant contributor to their wealth. 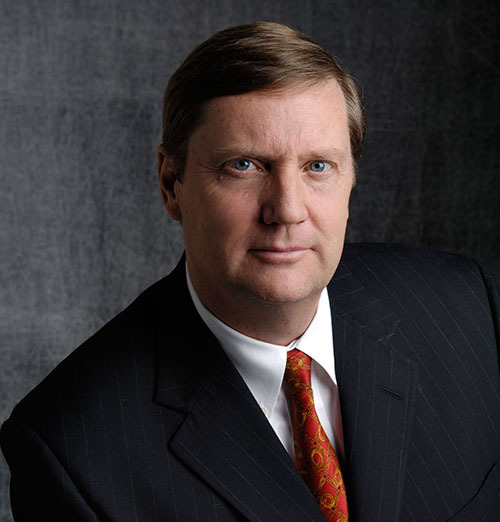 As an advisor, you are already aware that there are young people who are going to be receiving a sizable inheritance. It’s just good business practice to establish a relationship with that next generation before they become inheritors in order to appear as a viable option for future investment advice when the inheritance comes. Of course, such an effort can seem opportunistic, and a wise adult will be aware that an advisor is attempting to cozy up in order to maintain some influence in the family for the benefit of their own business. Which is true. However, advisors can soothe that suspicion by being more than just a friend to the family. Providing a program of financial education for the children of a client can indicate that your interest goes beyond the bottom line. The first step is to determine if your client wants you to provide information and financial guidance to their children. The answer is likely going to be ‘Yes’. According to Spectrem’s Advisor Relationships and Changing Advice Requirements, Millionaire clients are eager to create a relationship between their children and their advisor, and encourage their advisor to provide educational materials for their children to study. 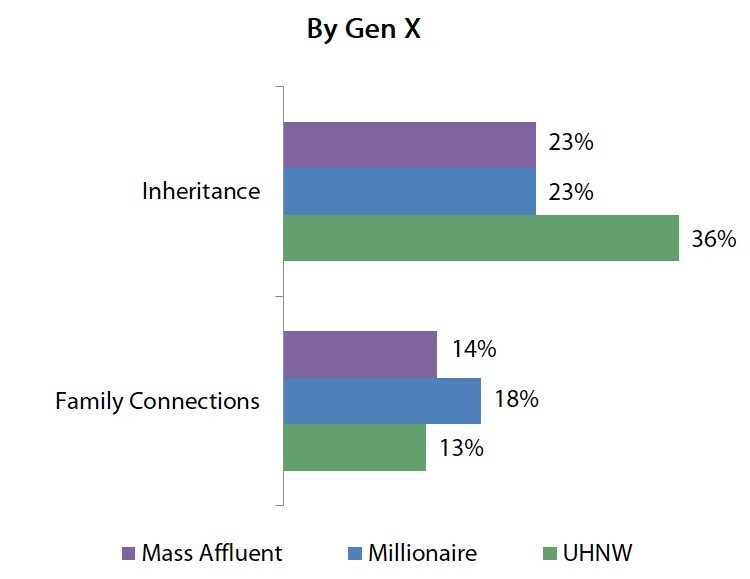 Most Millionaires believe the initial introduction should take place when the child reaches adulthood (defined as turning 18 years old), but they most like the idea of having those adult children meet one-on-one with an advisor to discuss their own financial plans and level of knowledge about financial matters. There is no way for an advisor to know that the effort to get to know the children of a current client will end up with the son or daughter becoming a client as well. But it is certainly the best and easiest way to display your abilities to that next generation, and it will certainly be easier for that child to choose you as their advisor than to go out and research a new provider. One often-repeated tenet of criminal investigations (as seen in nearly every television crime drama) is “follow the money”. In the case of providing advisor services, advisors know where the money is and where the money is going. A skilled advisor who develops a relationship with the client’s children may be allowed to “follow the money”” when it is handed down from one generation to the next.